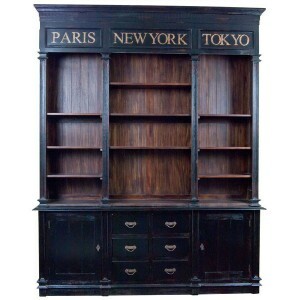 A wonderful petite French style bookcase crafted from mahogany wood and finished in an antique white paint. This Provencale piece is perfect for displaying your favourite sets, featuring 3 shelves and a sumptuous curved design with ornate carved details. Whether you're displaying books, ornaments or even using it for bathroom storage, this piece provides ample storage space and looks truly stunning. A light patina has been applied to this piece to give it a gentle ageing.